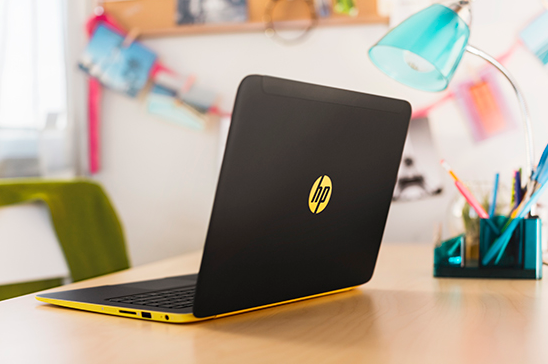 Last year, HP and Google partnered to introduce the Chromebook 11, a slick looking, if underpowered laptop that bore a striking resemblance to Apple’s old plastic MacBooks. The best part of the Chromebook 11 was its bright, vivid 11.6-inch display. Today the company is announcing the Chromebook PC, another 11.6-inch Chromebook powered by a Samsung processor. The Chromebook PC veers away from the slick design of the Chromebook 11, instead mimicking the design of HP’s larger Chromebook 14. The display has the same 1366 x 768 pixel resolution seen on most Chromebooks. It weighs in at 2.69 pounds and is just under an inch thick. Inside it comes with the Chromebook standard 16GB of storage and 2GB of RAM, which indicates the performance of the Chromebook PC won’t be much improved over last year’s Chromebook 11. HP is listing battery life at 6.25 hours, which is a bit less than we’ve seen from Chromebooks offered by Dell or Acer. Like the Chromebook 14, the Chromebook PC will come in different colors, with turquoise and white options initially available. 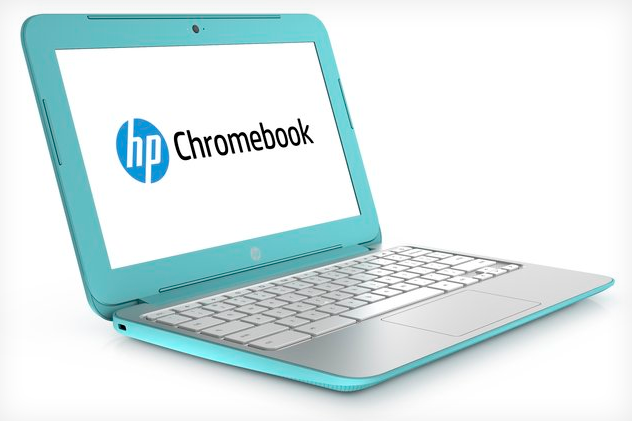 HP says the Chromebook PC will start at $249 for a Wi-Fi model, and a version with built-in 3G is also in the works. In addtion to the Chromebook PC, HP also officially announced the Slatebook PC, a 14-inch Android laptop that was briefly listed on HP’s site in April. The Slatebook PC is powered by an Nvidia Tegra 4 processor with 2GB of RAM and up to 64GB of internal storage. It has a 14-inch, 1080p touchscreen display and is a scant 16mm thick. It’s fairly heavy at 3.71lbs and only available in black with bright yellow accents. The Slatebook PC will be available starting August 6th for $429. Update, June 3rd, 7:05PM ET: This article originally stated that the price of the HP Slatebook PC was $399. HP has since contacted us to let us know that the price is $429, not $399 as it first stated.